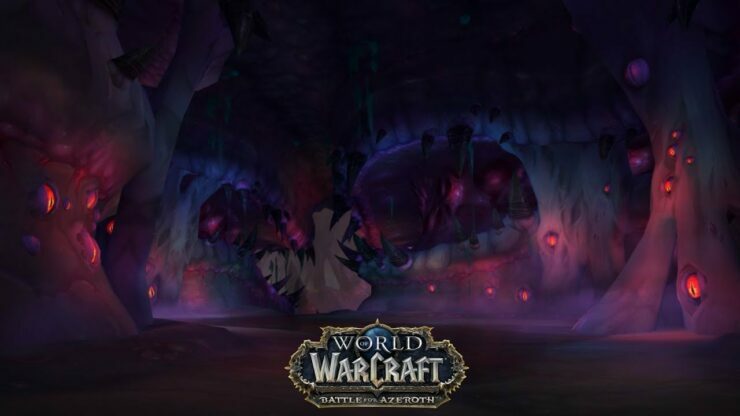 Blizzard has added new content to World of Warcraft: Battle for Azeroth patch 8.1.5 on the PTR, including six memorable dungeons, new profession questlines and a new micro holiday. Patch 8.1.5 ‘Crucible of Storms’ is currently live on Blizzard’s public team realm and the new content mentioned above hasn’t been tested before. Six new memorable dungeons from Warlords of Draenor have been added to the PTR, including Auchindoun, Grimrail Depot, Iron Docks, Shadowmoon Burial Grounds, Skyreach and the Slag Mines. Look out for the whale shark! All 8 of the crafting secondary professions now have new questlines to acquire a tool of the trade that is unique for that profession. Note: Your test character will have to be at max level in the Kul Tiras or Zandalari segment of the profession to get started. Each questline begins at the profession’s main trainer in Boralus or Dazar’alor. Patch 8.1.5 is currently being tested on the PTR. Blizzard has yet to announce when the patch will be released on the live servers.